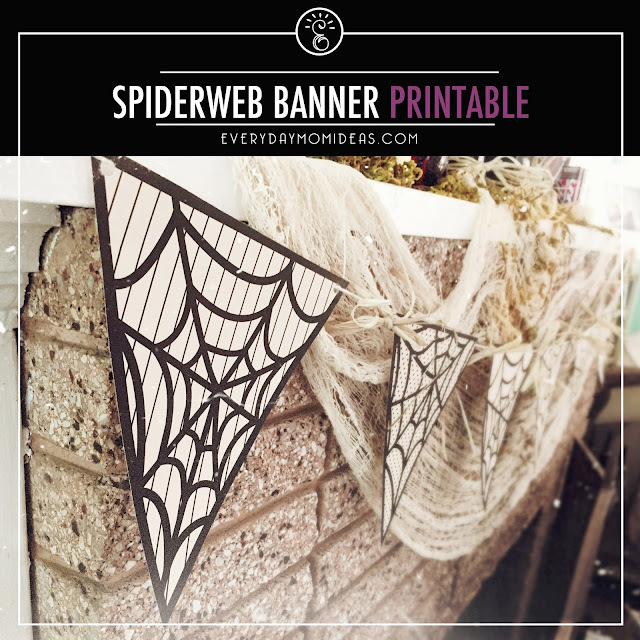 Every fireplace mantle needs a fun banner to spruce it up for the holidays and this paper spiderweb banner is perfect for just about any halloween mantle. The best part is... I have designed two different spiderweb banners for you to choose from and they are both FREE! 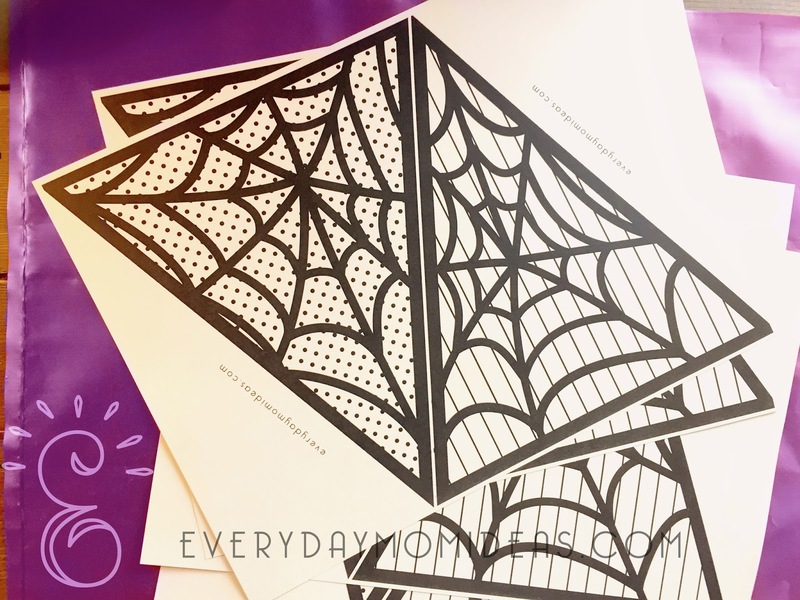 This spiderweb banner makes a great last minute Halloween craft and you don't have to be crafty at all to put one together. 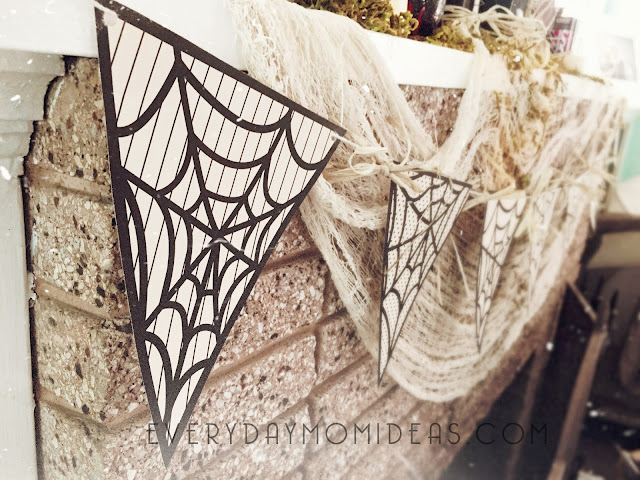 I used some old twine I had laying around and used a hole puncher on the flags to make holes in the corner and sting the twine through them. You can also just glue the string to the back of the flags if you don't have hole puncher. Here is a look at the two designs to choose from. The one on the left has a more antique vintage feel with pages from an old spell book behind the spider web. The one on the right has a more modern and clean look if that fits your style better. I printed mine on a nice thick cardstock so that I can fold it up nicely and still use it for next year. I also added a little extra detail to mine by tying straw bows in between my paper flags. I found the straw stings at my local dollar store. 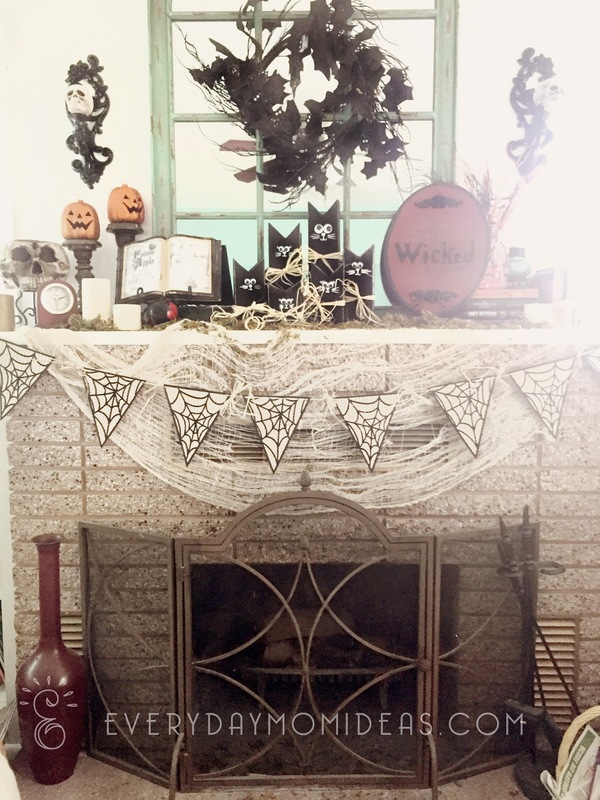 I think it adds a really nice fall touch. 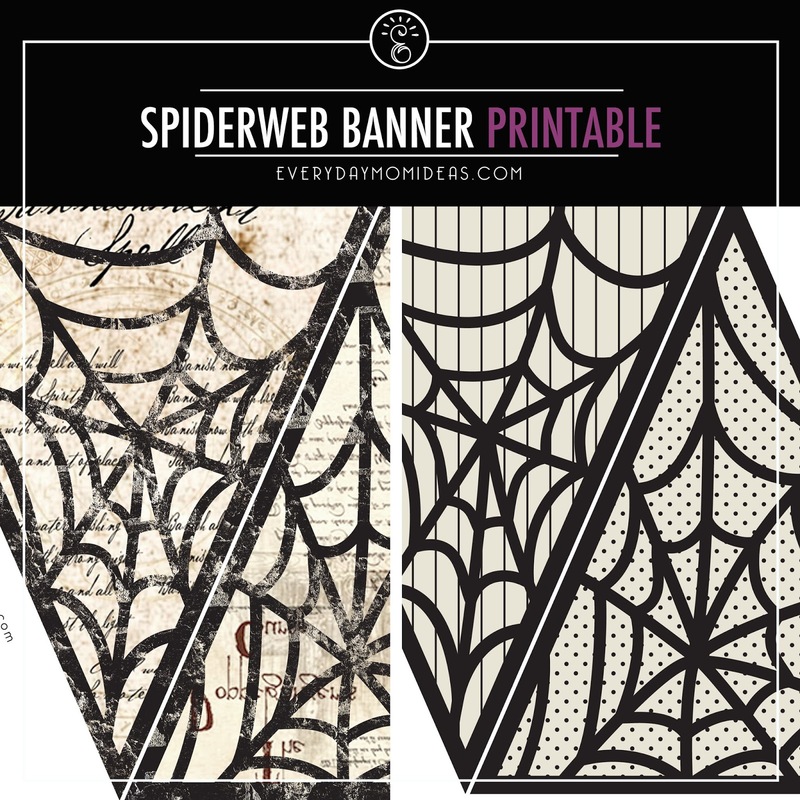 I love comments and feedback and would love to hear how you like this banner and if you printed it! Hope you have a Happy Halloween!